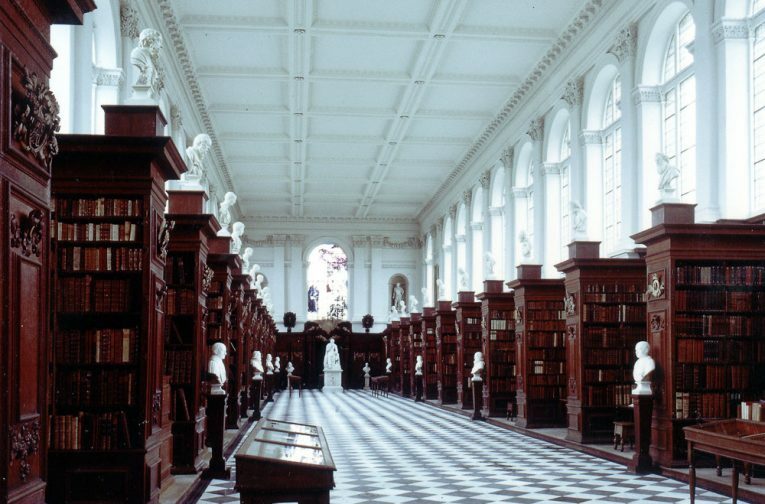 Set on the famous “Backs” in Cambridge and containing a valuable book collection, the Wren Library had become much in need of repair and refurbishment. 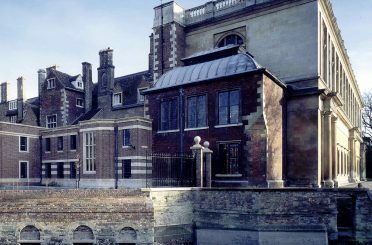 Following a survey of condition (later extended to other adjoining historic college properties), a comprehensive repair programme was put in hand. 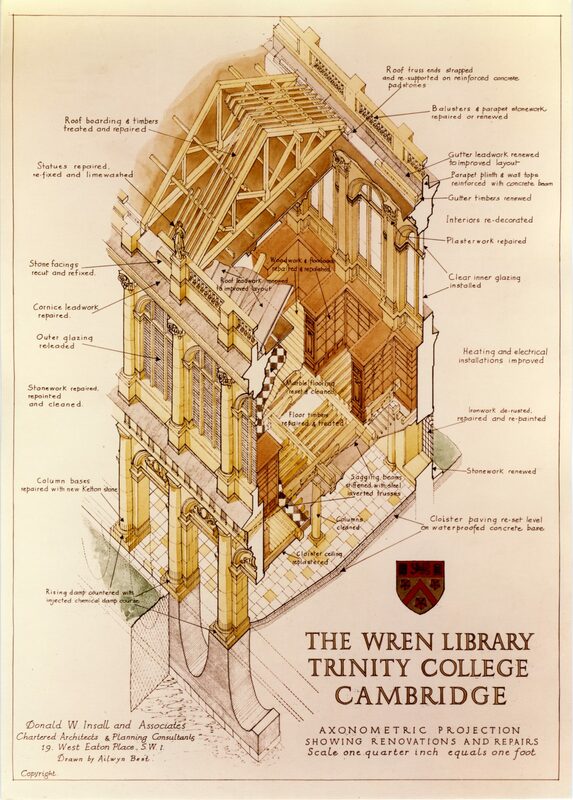 This included work to the roofs and stonework, the floor structure and windows, and a complete redecoration of the interiors, which are now restored to look as Wren intended. 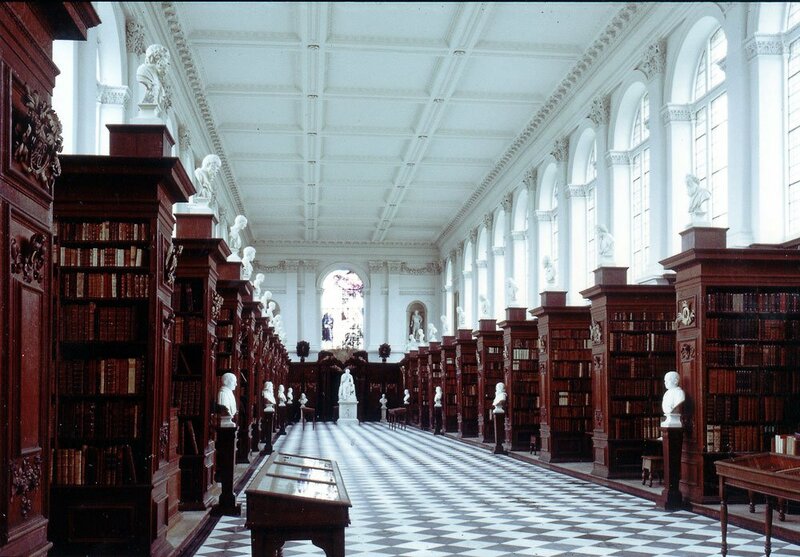 A subsequent phase of work involved the construction of a large underground bookstore beneath the Master’s garden, with a new link building connecting it to the main library.